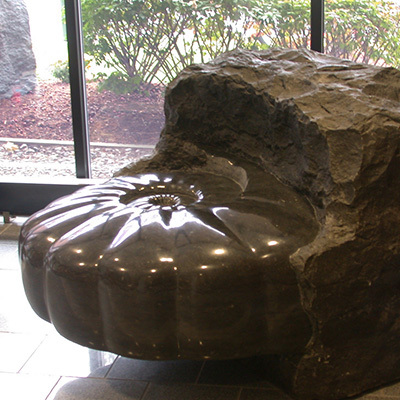 This piece depicts an Ammonite Fossil as it may have been found emerging from a boulder. 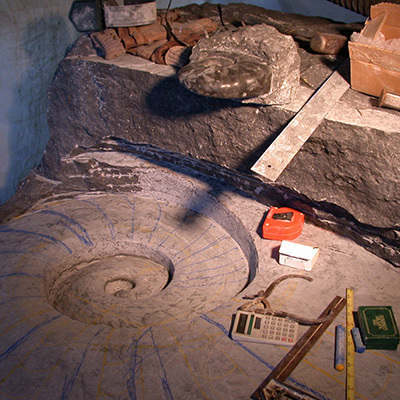 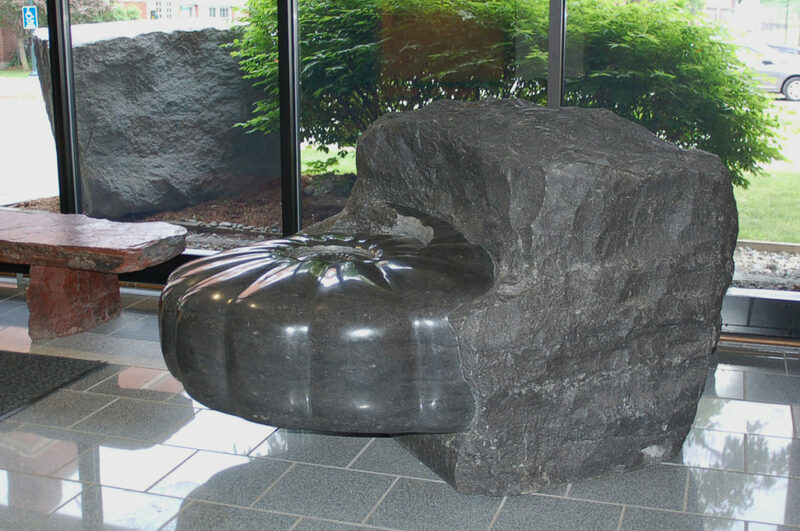 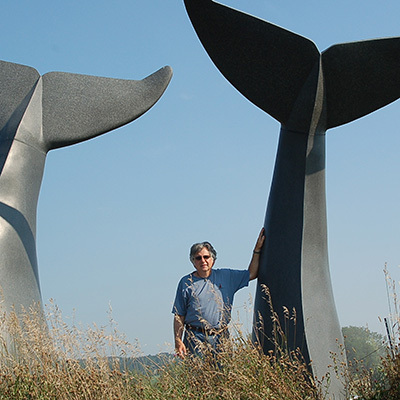 It is carved from Champlain Black Marble which is quarried very near the UVM campus on Isle LaMotte. 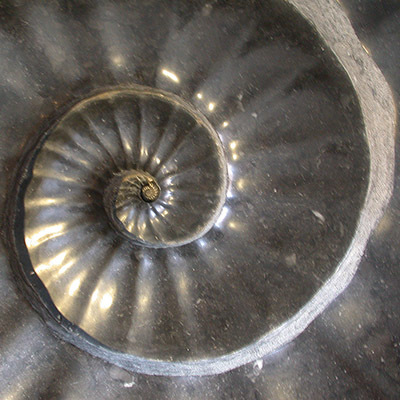 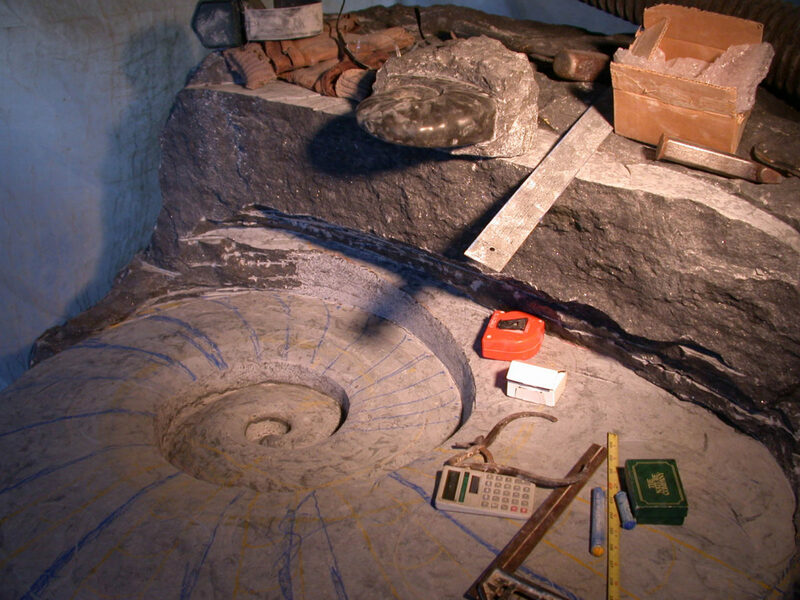 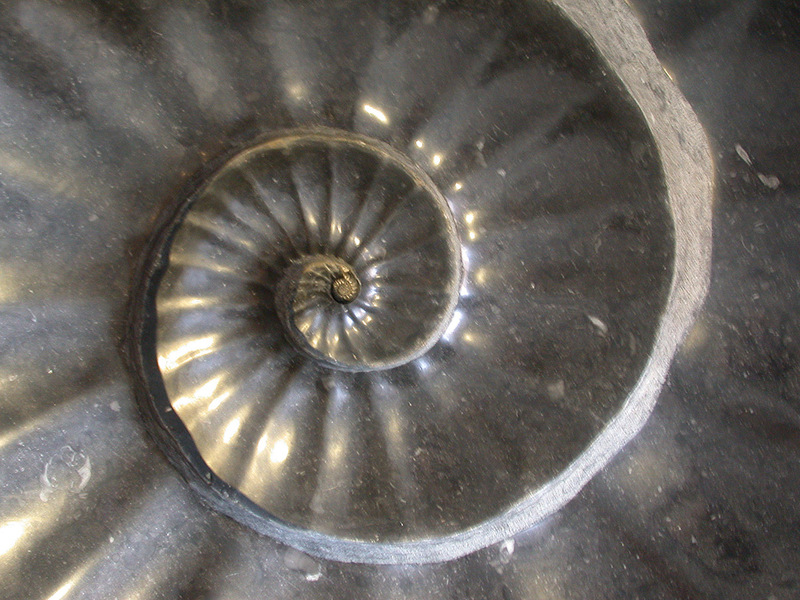 It contains many fossils which look very much like the Ammonite with its beautifully proportioned spiral form. 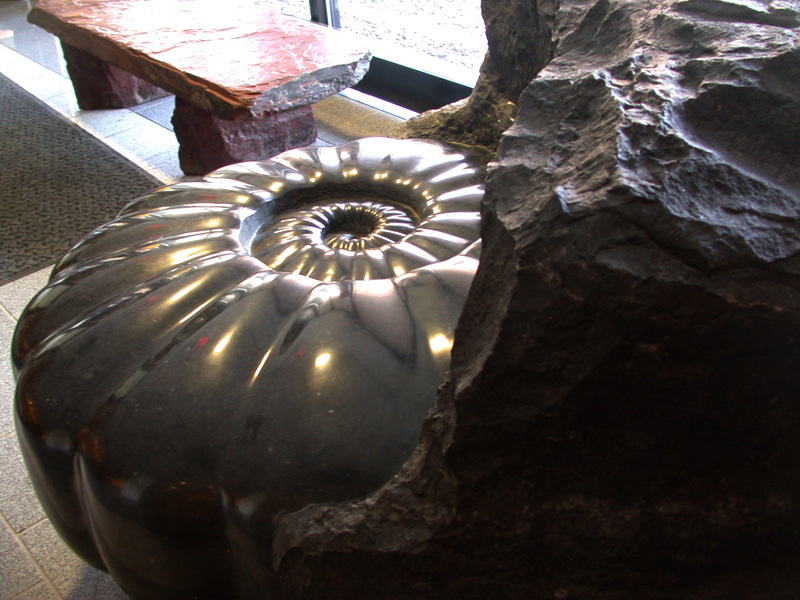 Some Ammonites are up to 400 million years old. 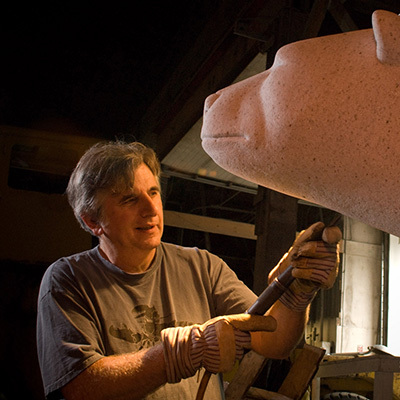 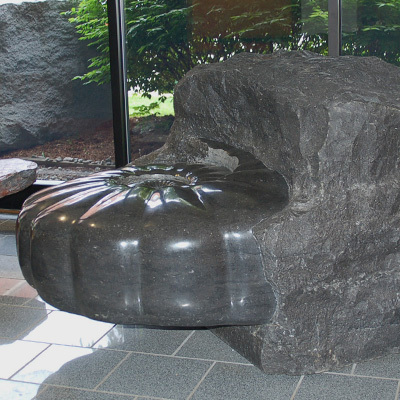 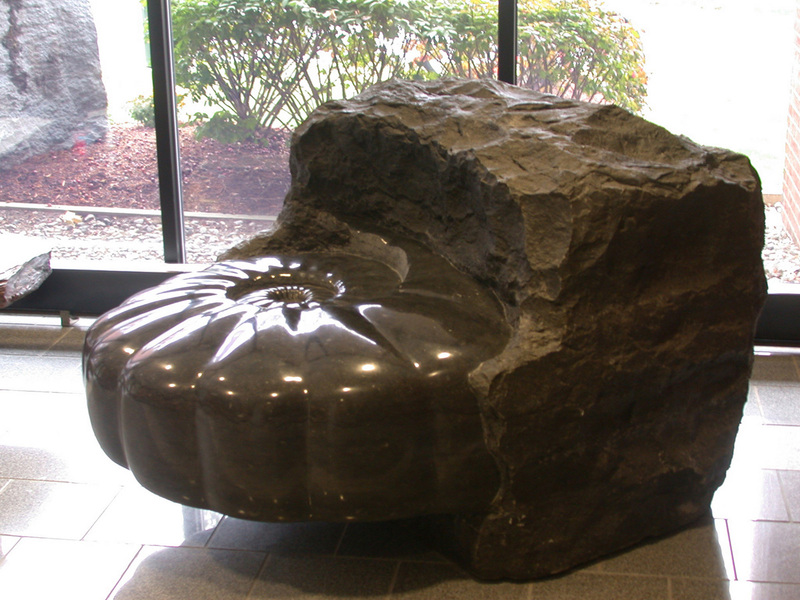 This sculpture was designed to act as a bench with the upper surface of the polished Ammonite at around 18″ off the ground. 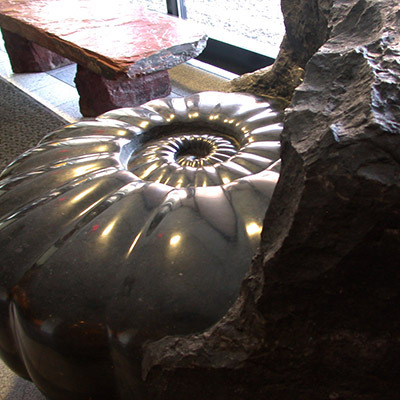 Along with several actual Ammonite fossils, the Perkins Geology Museum houses many fascinating objects including a triceratops skull and a skeleton of an early whale found in Charlotte, VT. 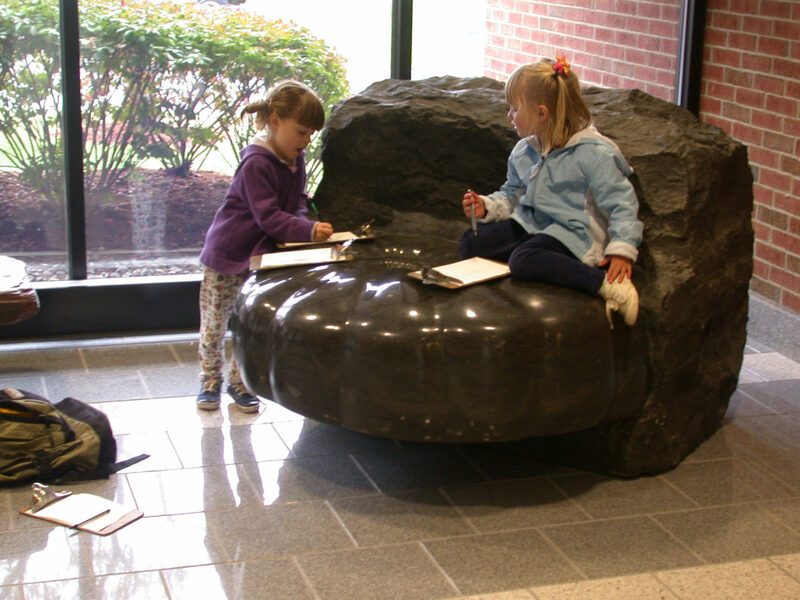 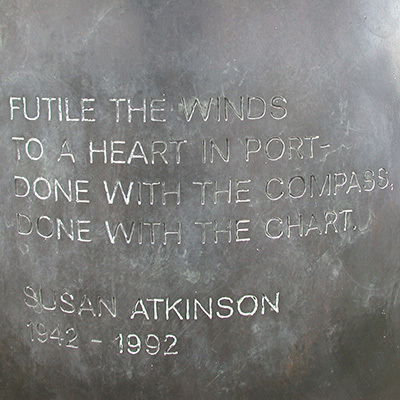 Location: Delahanty Hall Lobby; UVM Campus, Burlington, VT. 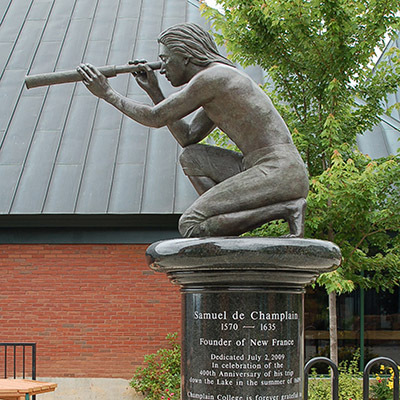 Directions: I-89 exit 14 W. Delahanty Hall is on the old Trinity Campus, which now is part of UVM. 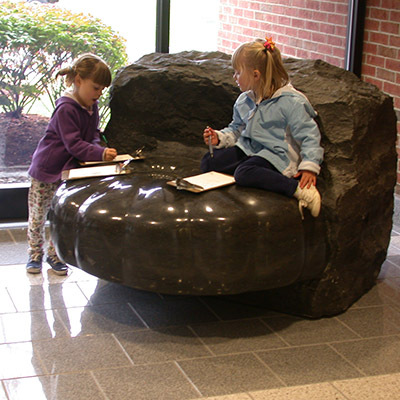 This is the new site for the Perkins Geology Museum, as well as Geology classrooms and labs. 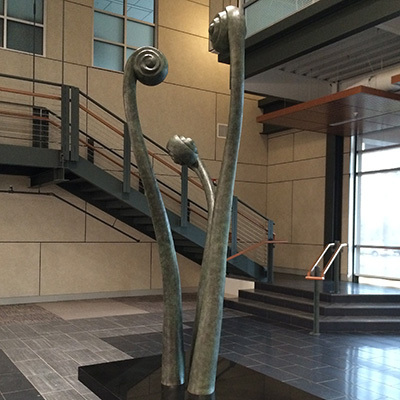 The sculpture greets people upon entering the building.